Do you like to go for a bicycle ride? I gave up my bicycle here in Florida because I found myself riding so rarely, and we have a great local bike rental here in Celebration. I can still ride a bicycle safely, but I would probably be safer on one of those grown up tricycles! I love all of the creative ways people use bicycles for garden decor, or their everyday bicycle with flowers in the basket. Just tucking some artificial flowers into a bicycle basket makes it into a pretty mobile decoration. 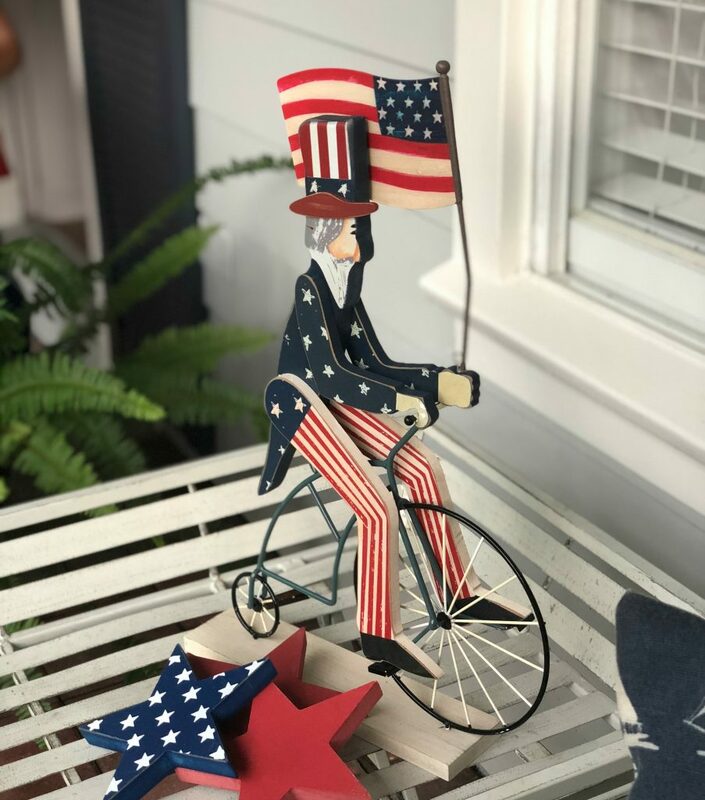 I have seen bicycles everywhere this summer in holiday decorating, like my Uncle Sam from Michael’s. 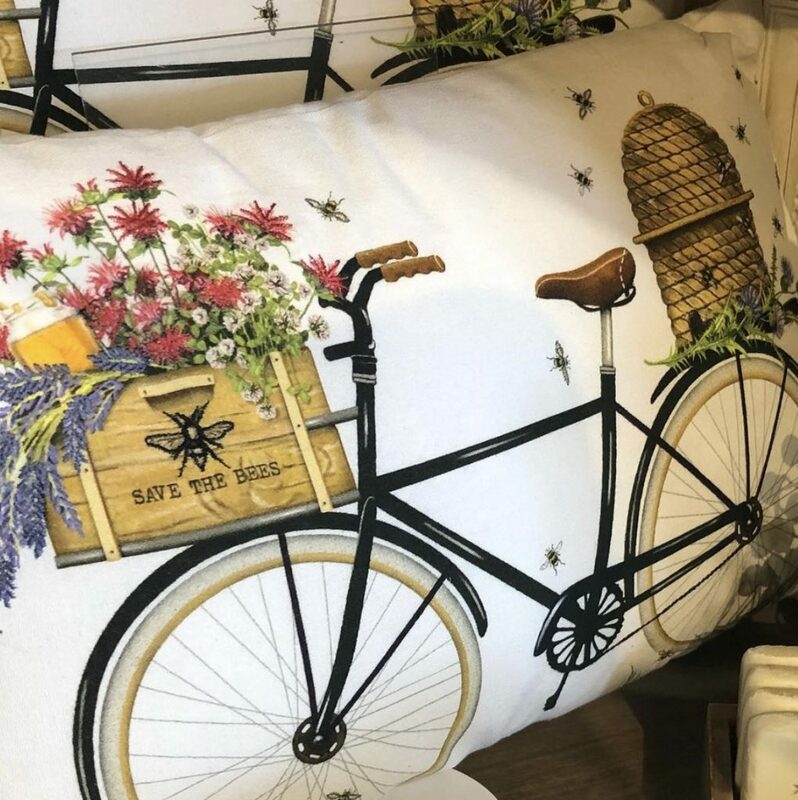 I loved these pillows I spotted out shopping, I don’t even remember where! Now, I did not learn to ride a bicycle at a young age. I think I was in second or third grade. My memories of learning to ride a bike were in Orofino, Idaho. We lived in a rural area on a street with a bit of an incline. There were no sidewalks and there was a muddy ditch on one side of the road. My sister was helping me and was pushing me along. At some point, she let go and I promptly rode right into the muddy ditch. I tell her to this day that she pushed me into that ditch, but I know that isn’t what happened. That is what siblings do, isn’t it? We help one another, we encourage one another and we blame one another and we forgive one another. I am so fortunate to have my sister nearby so we can get together for lunch or shopping most anytime. Maybe it is time to go for a bicycle ride with her! Oh Jenna, that is kind of funny…and then kind of not. 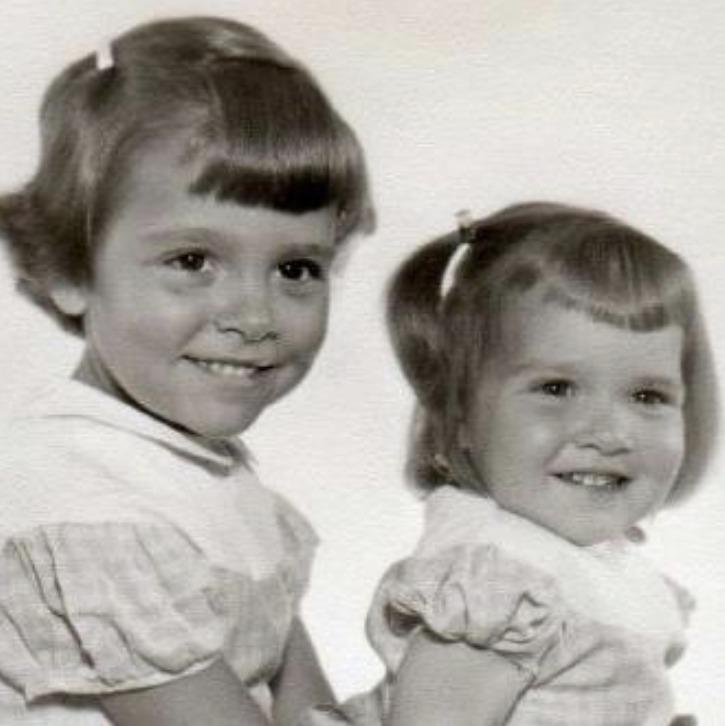 My sister and I were no competition for the stories I hear about my husband and his 4 brothers, like putting one of them down the laundry shoot, or starting the clothes dryer while one of them was hiding in it. Those bicycles with the flowers make such pretty accents in the garden, don’t they? Chloe, I still have my old bicycle, and my daughter still uses it. It is 35 years old! Such sweet memories that you shared this morning! How blessed you are to have your sister near by. Enjoy your Sunday, sweet friend!!! I love bicycles in the garden, too! I actually have three bicycles, one I can ride and one that holds flowers in the secret Garden and one that holds flowers in front of the house. I love all three, I have a basket on the front of the one I can ride !!! The captain and I both have bicycles. Growing up we rode on country roads, where there were sandburs so we always had flat tires it seems !! Wow, you are the bicycle lady! Celebration is a great place for riding bikes on all of the boardwalks built above the hammocks, but I find I am still happier walking! Thank you Valerie! We were only in Idaho for about 3 years, but it was beautiful up in the panhandle! Sweet thoughts and memories! I have a bike tucked away but haven’t used it in years. 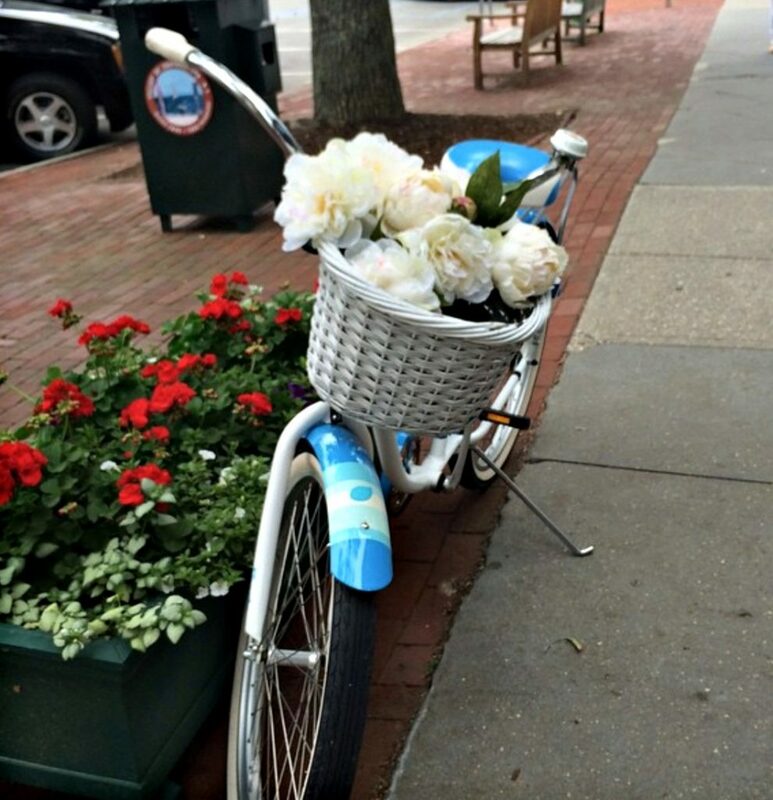 I wanted a full sized bike with a basket for flowers but never finalized that thought. I love the story about you and your sister. I know I had training wheels on my bike for a while as a kid and then demanded they be removed. I don’t remember the moment but I know I finally learned to ride without them! I was very slow at learning to ride my bike, and my poor son took after me! I am hoping my granddaughters do a little better!